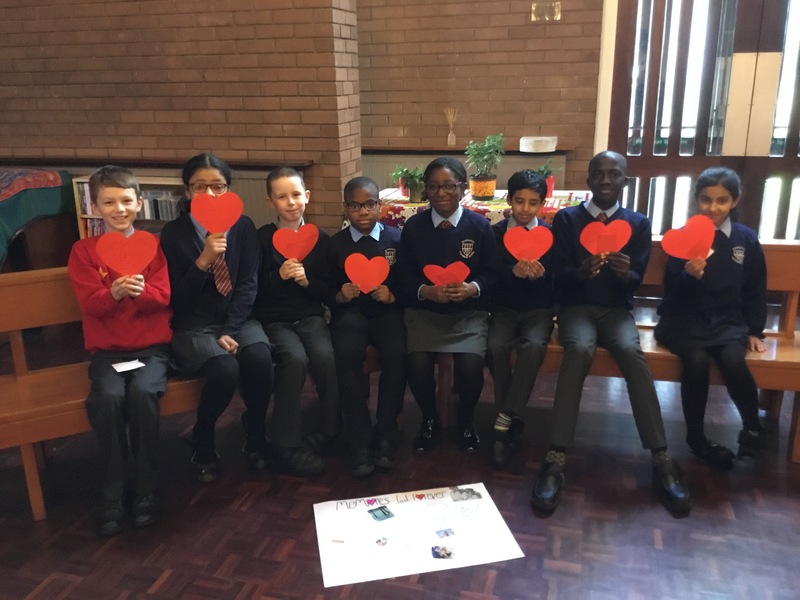 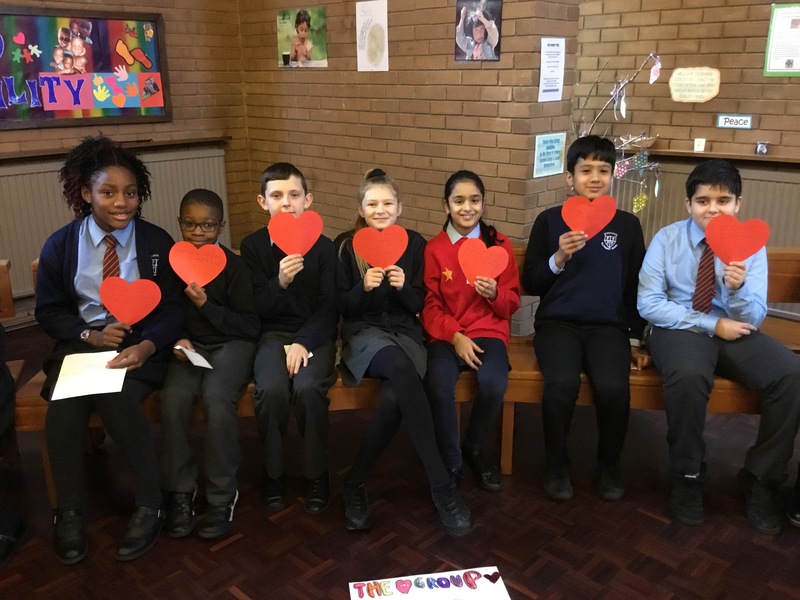 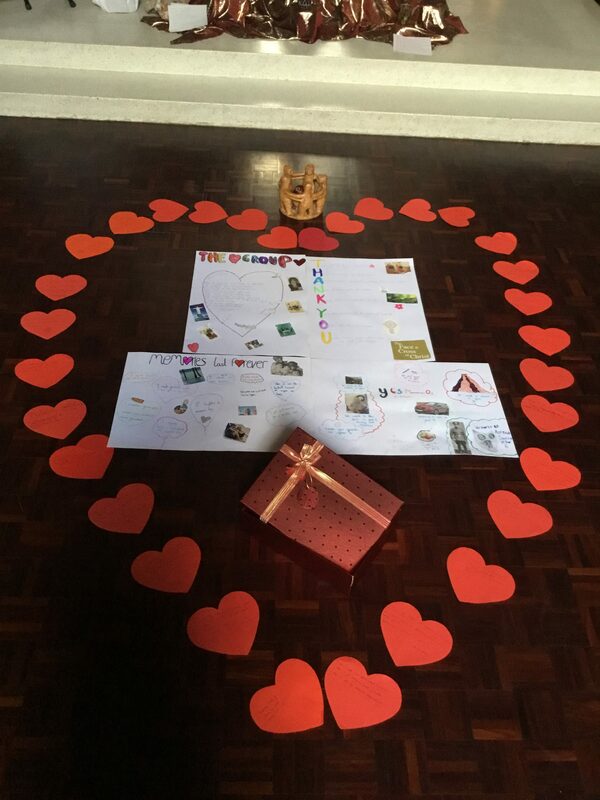 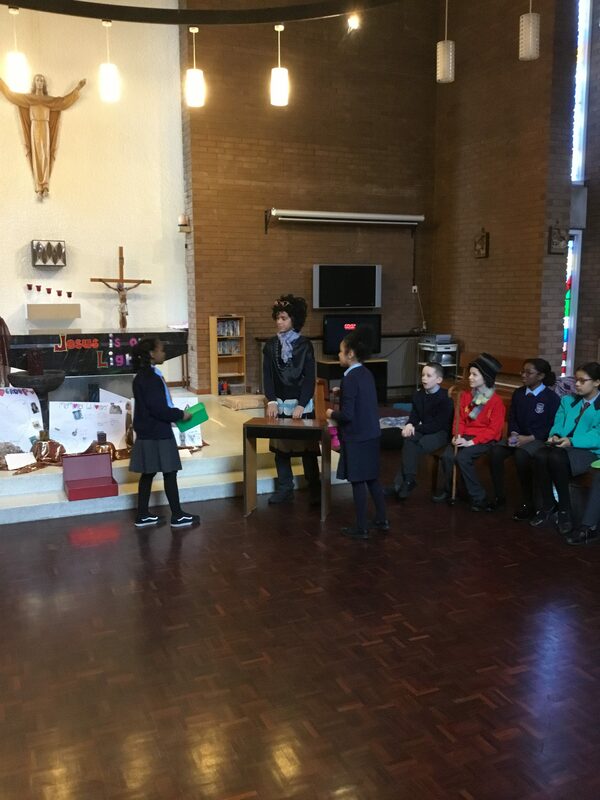 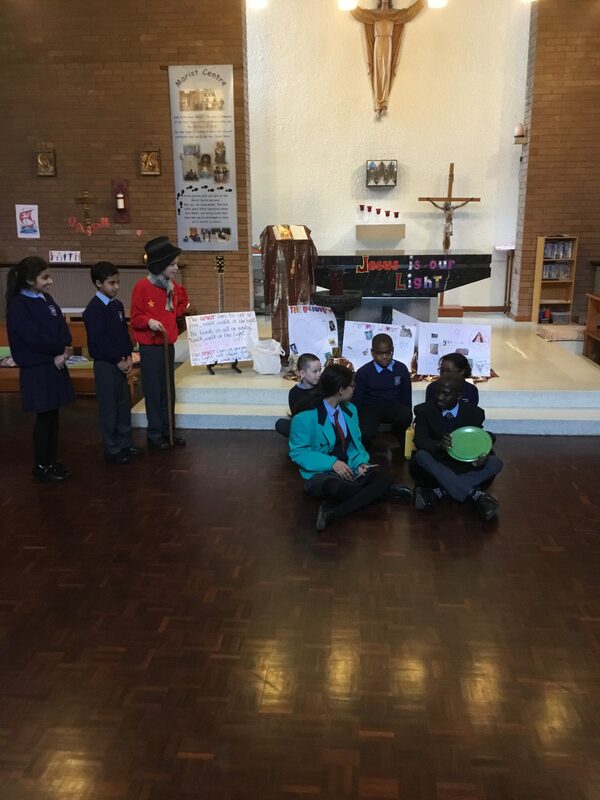 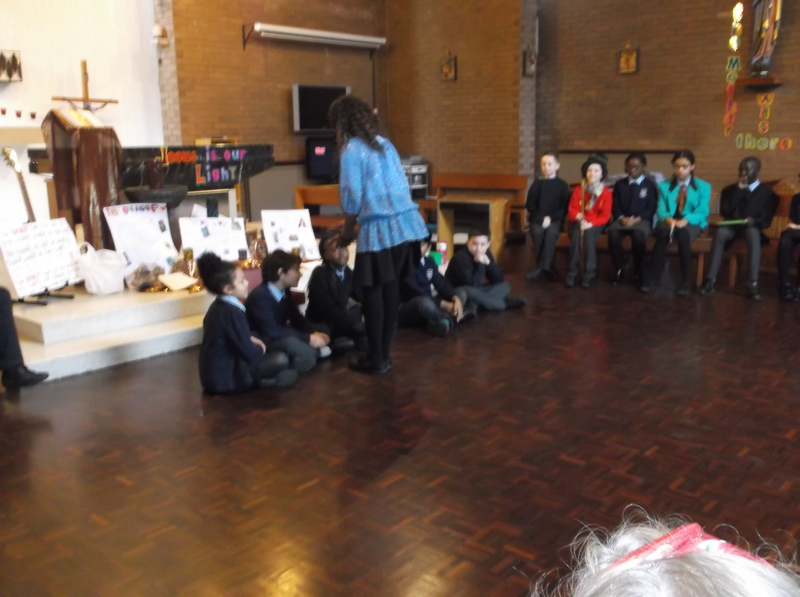 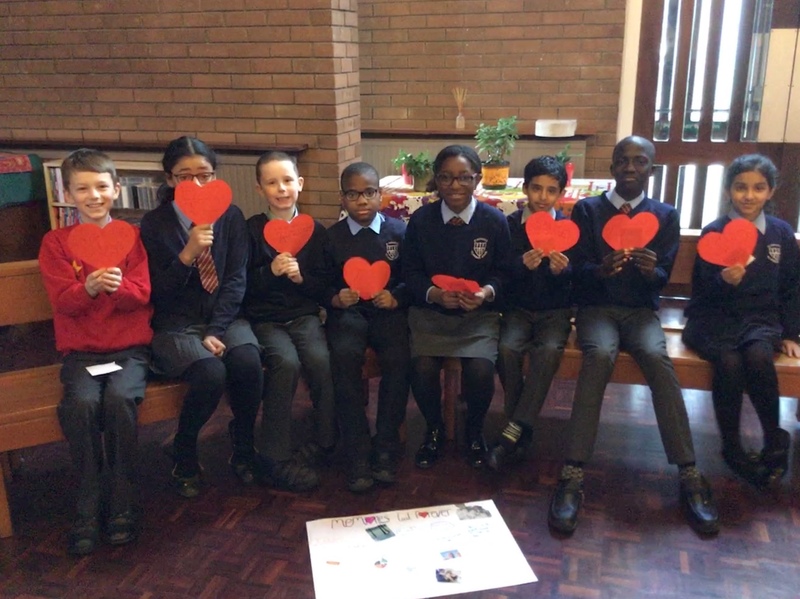 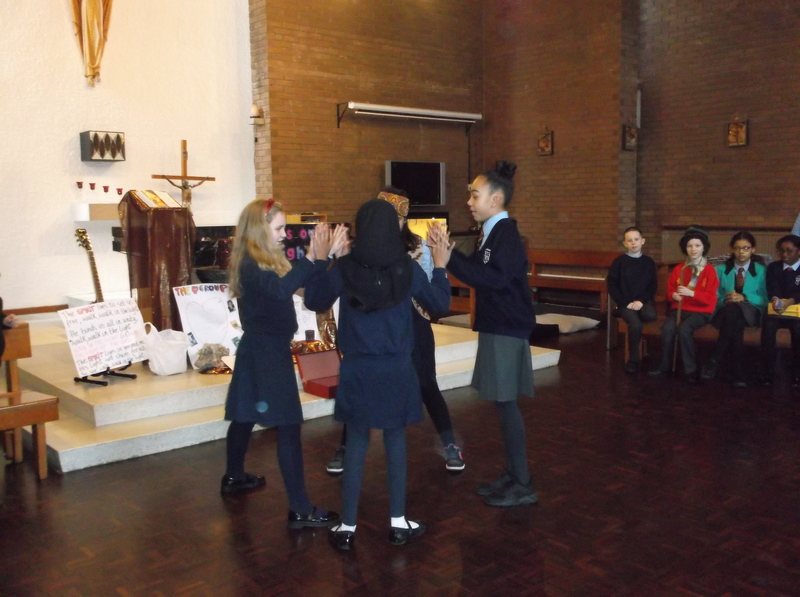 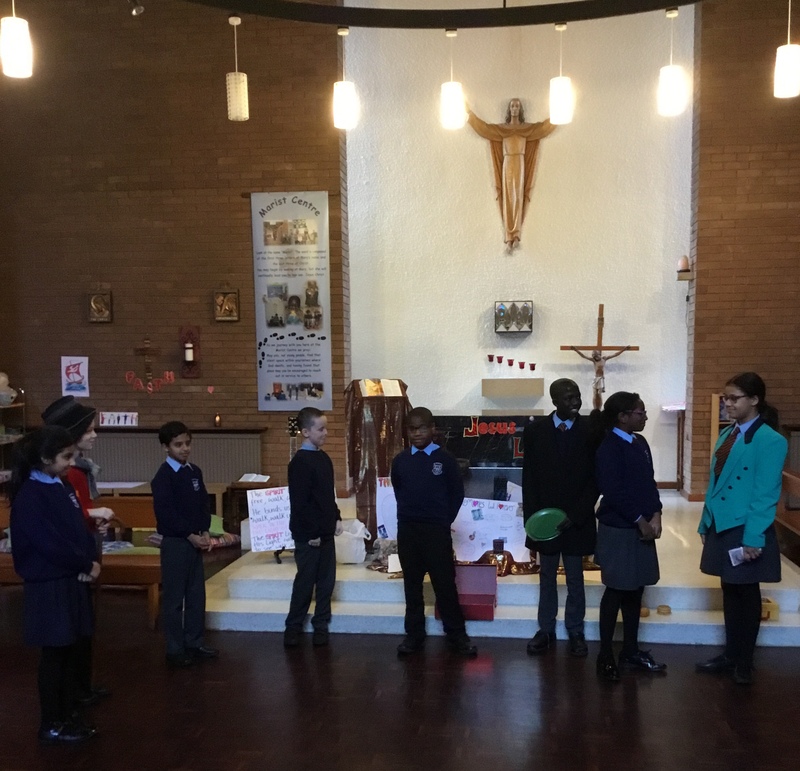 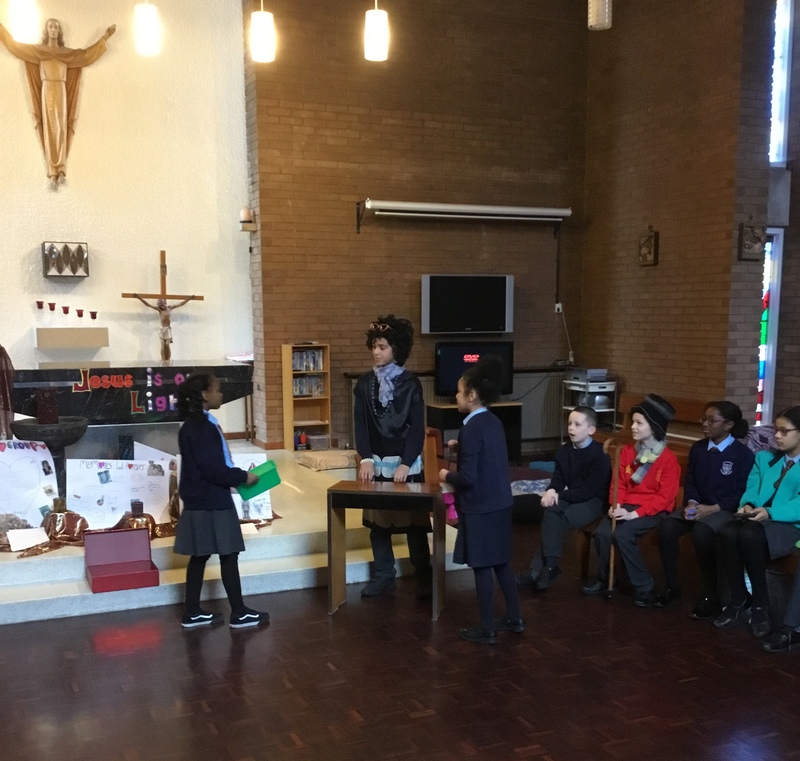 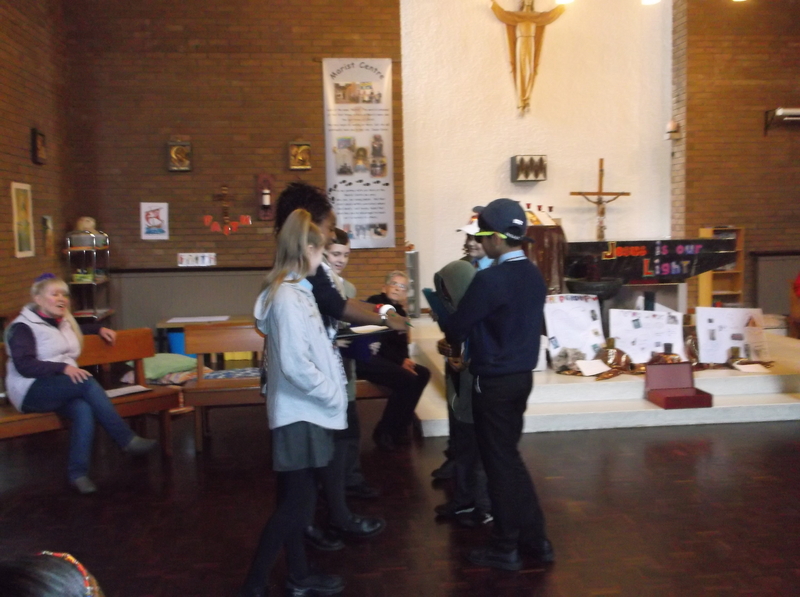 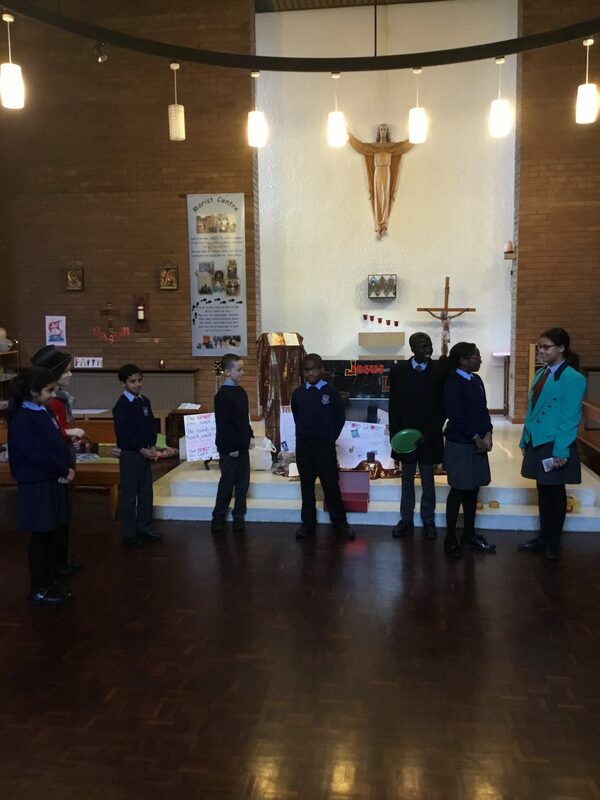 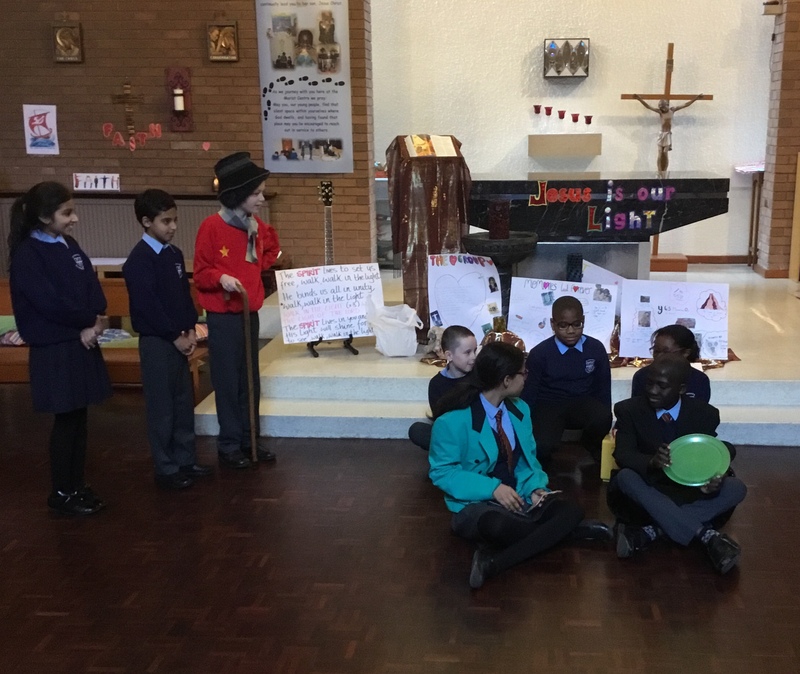 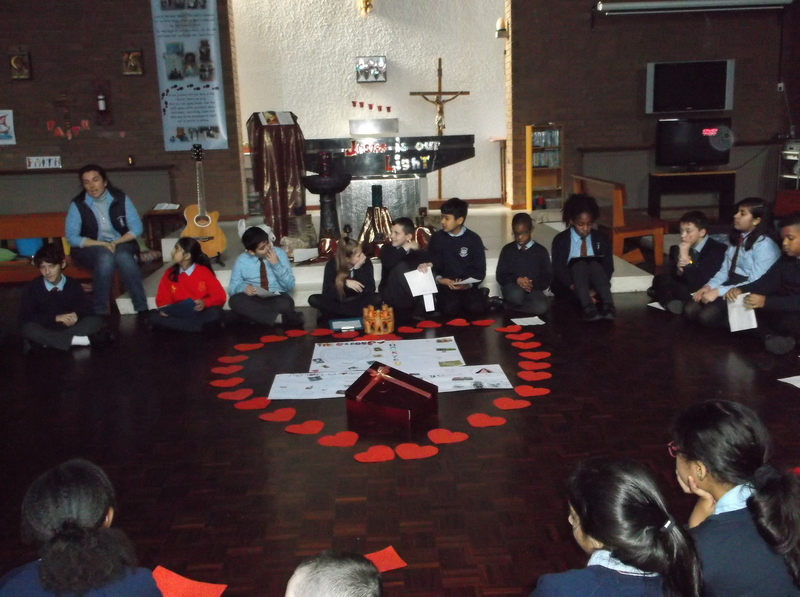 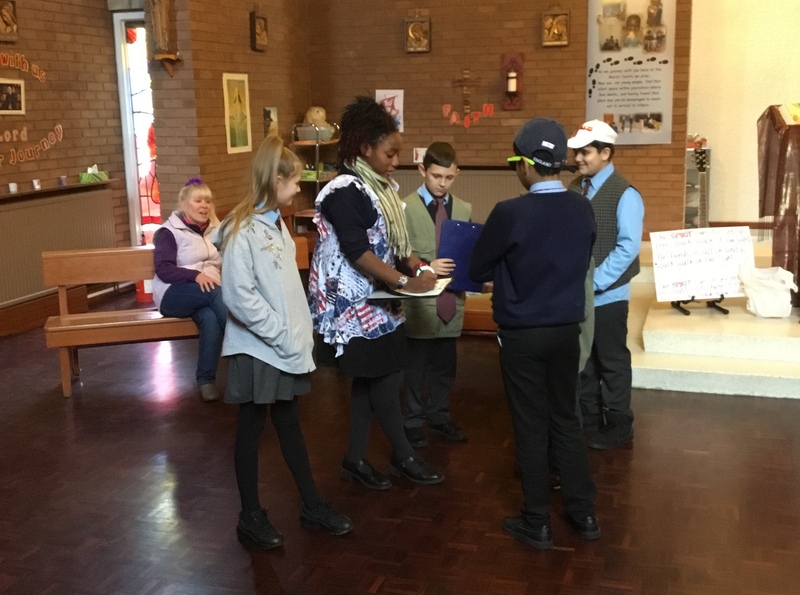 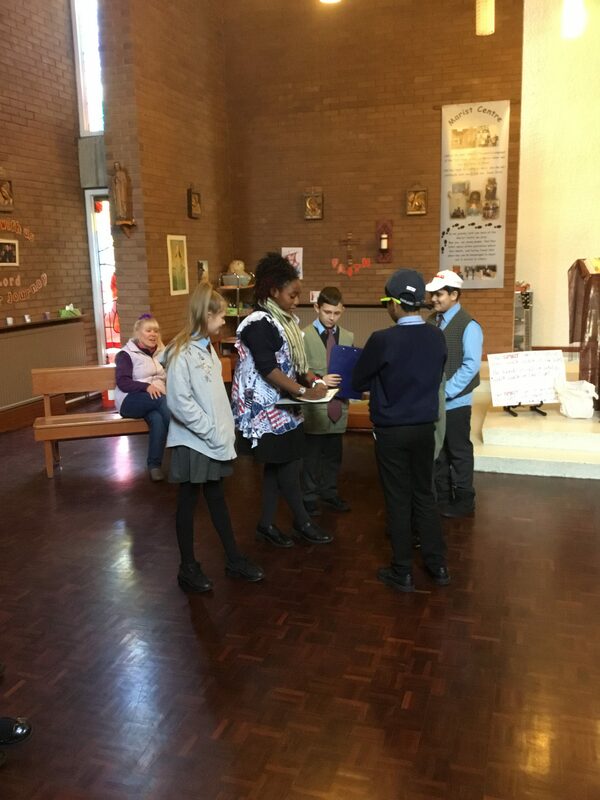 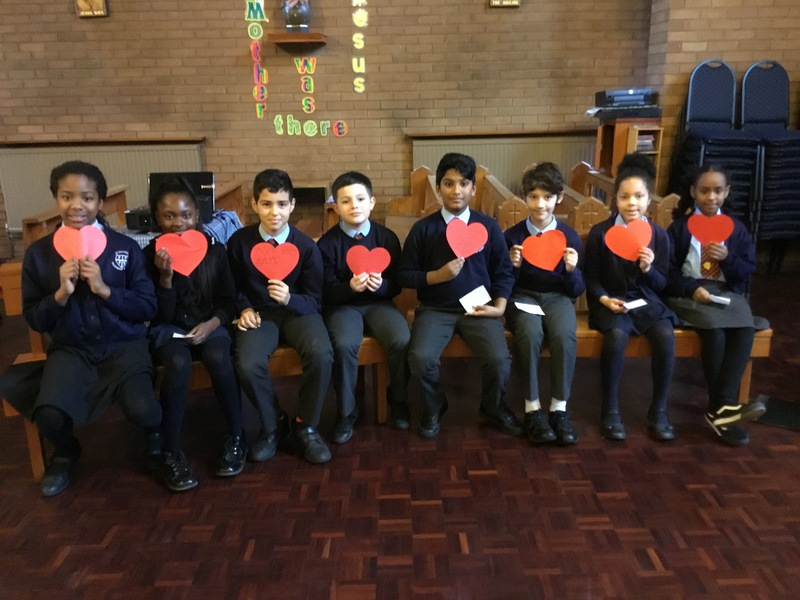 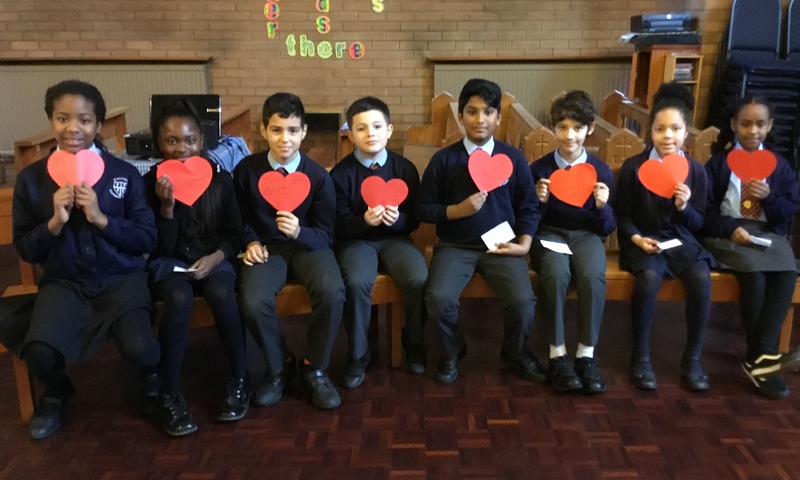 Welcome, Witness, Welfare, Word, Worship – In January 2019 all the year 6 pupils visited The Marist Centre for a day of reflection and to prepare them for moving on to their High Schools. 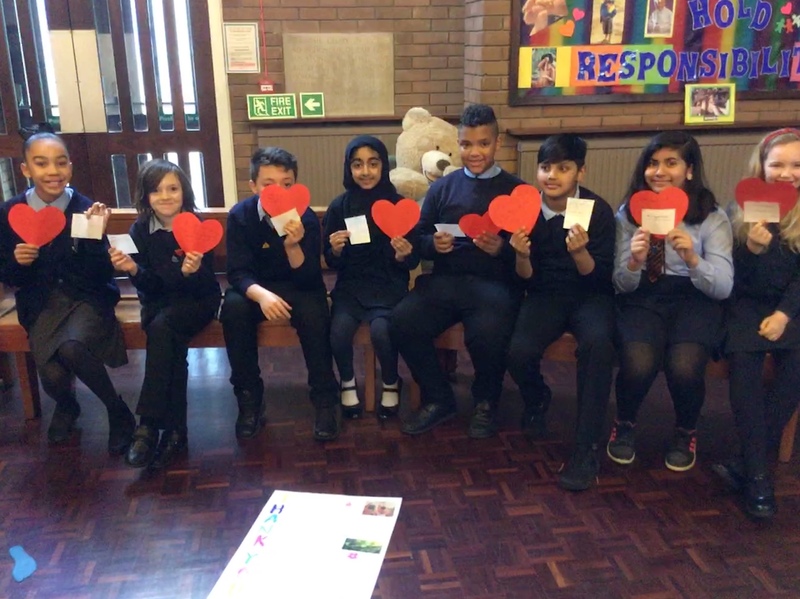 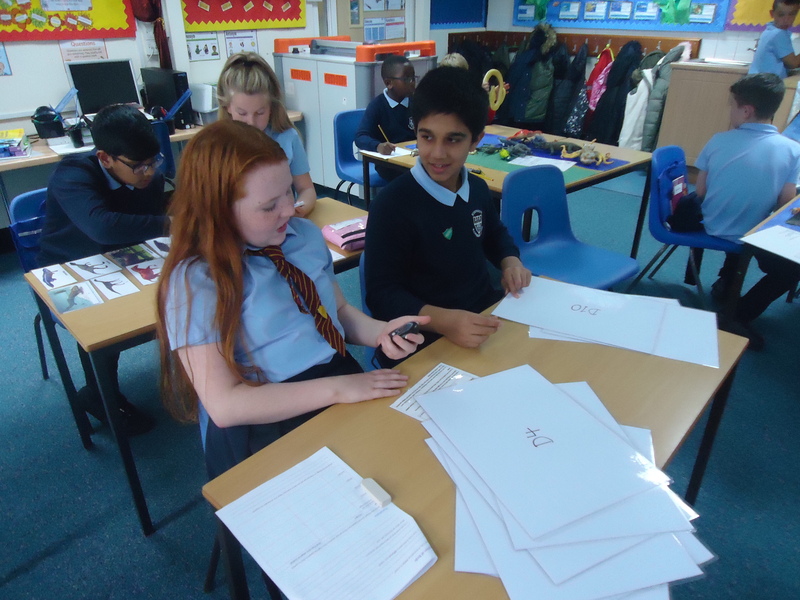 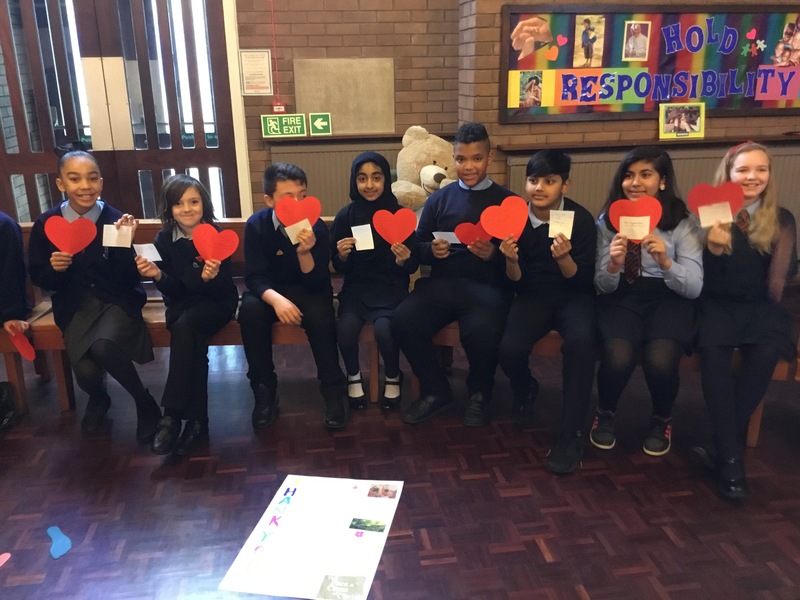 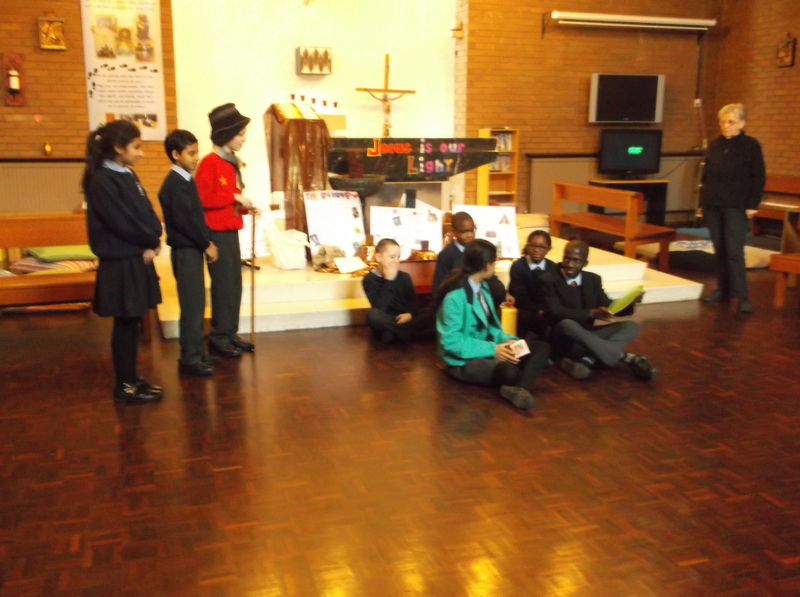 Pupils took part in small group work, sharing their own experiences of primary school and what they are looking forward to when they move on. 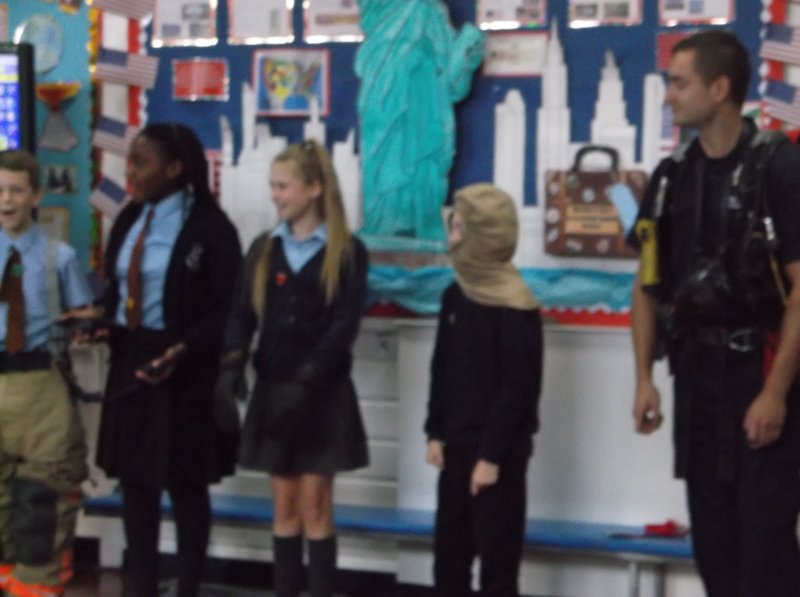 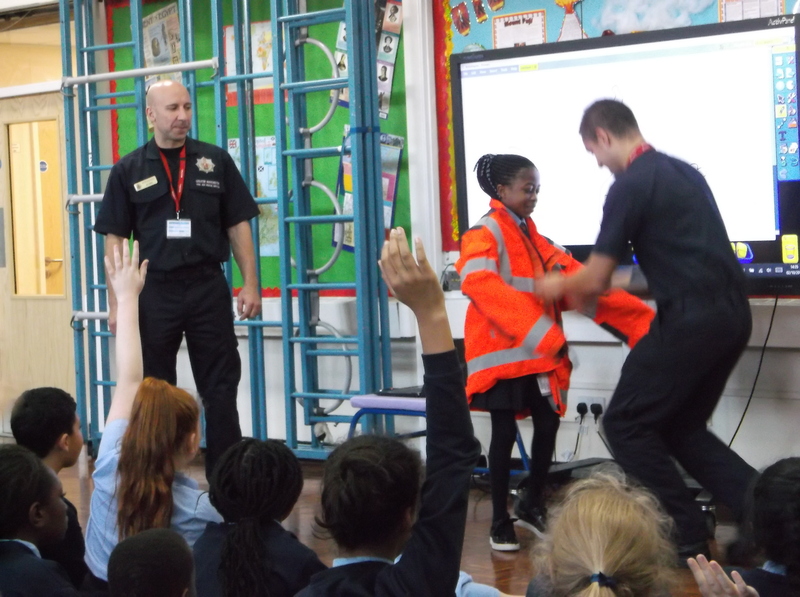 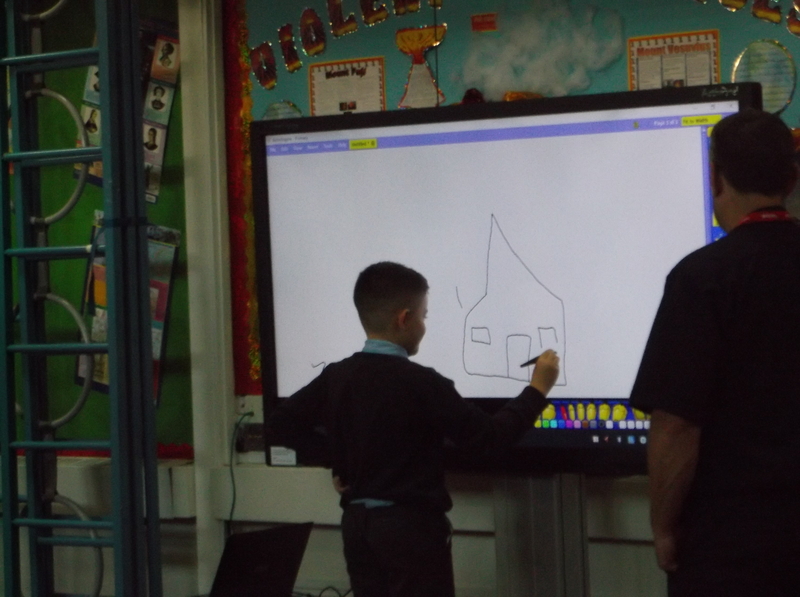 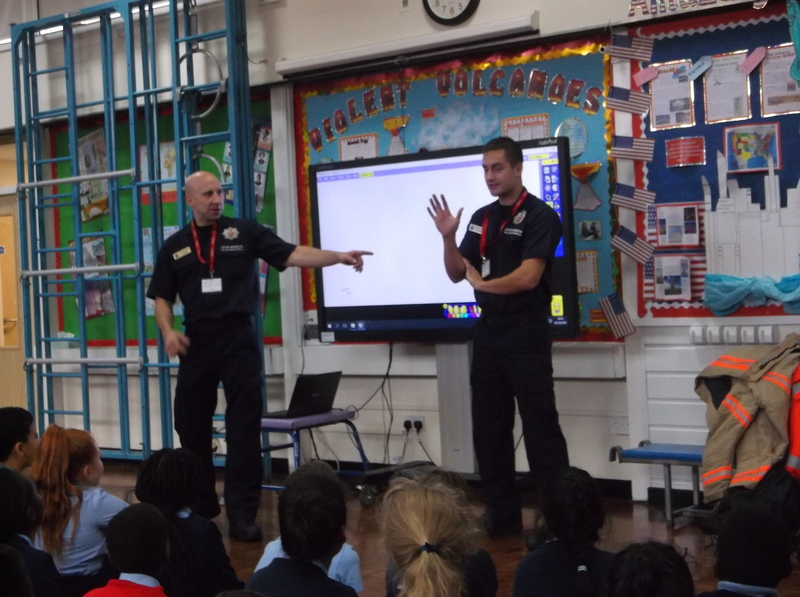 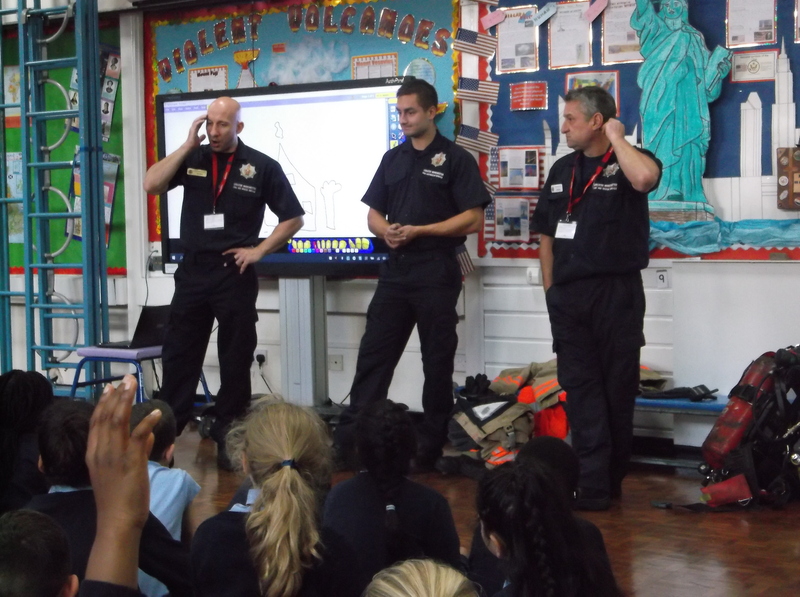 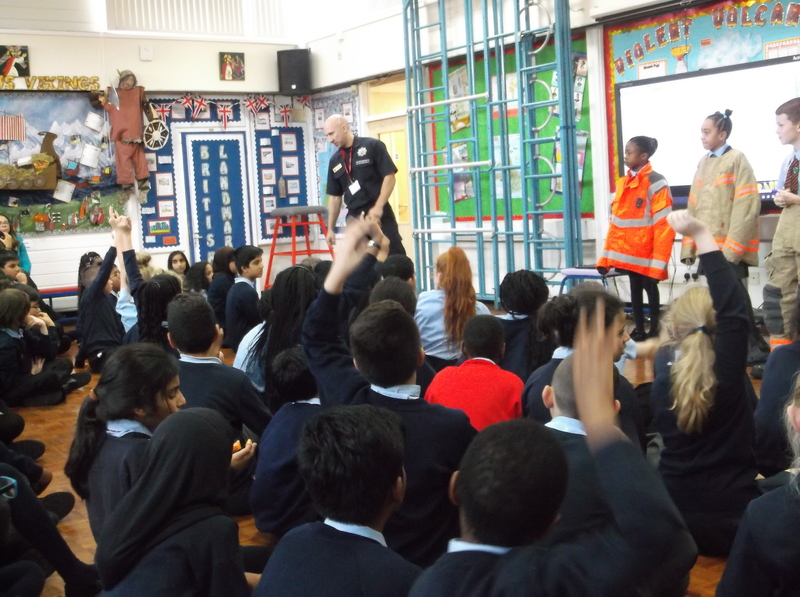 All Year 6 pupils were visited by Greater Manchester Fire Service. 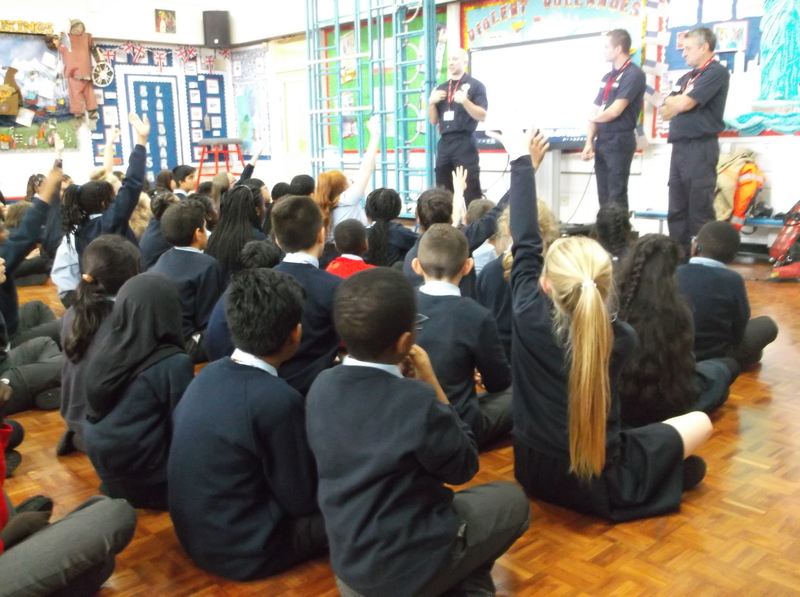 The Fire Service explained their job and how the children could stay safe at home and when out in the community. 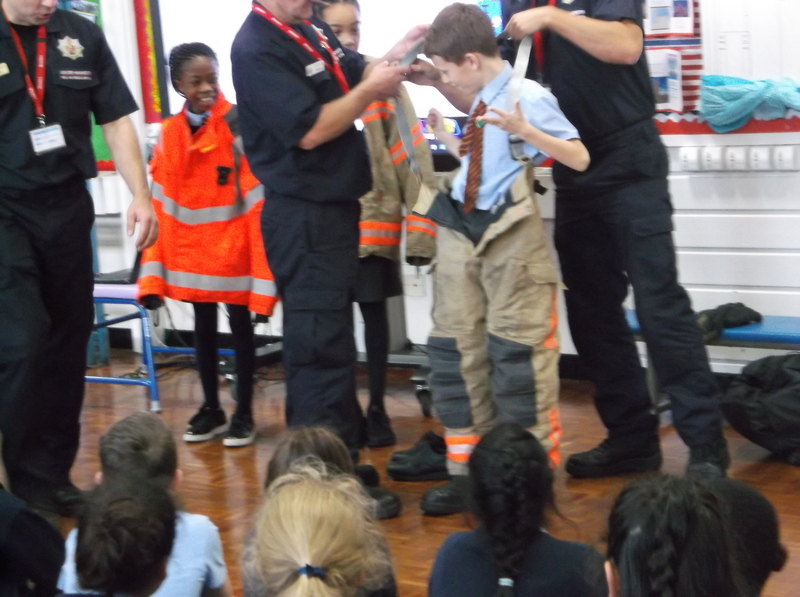 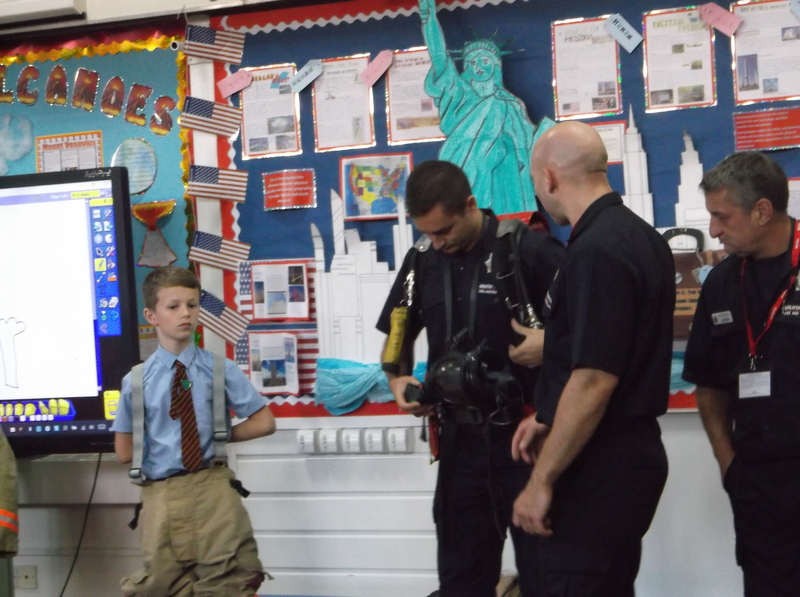 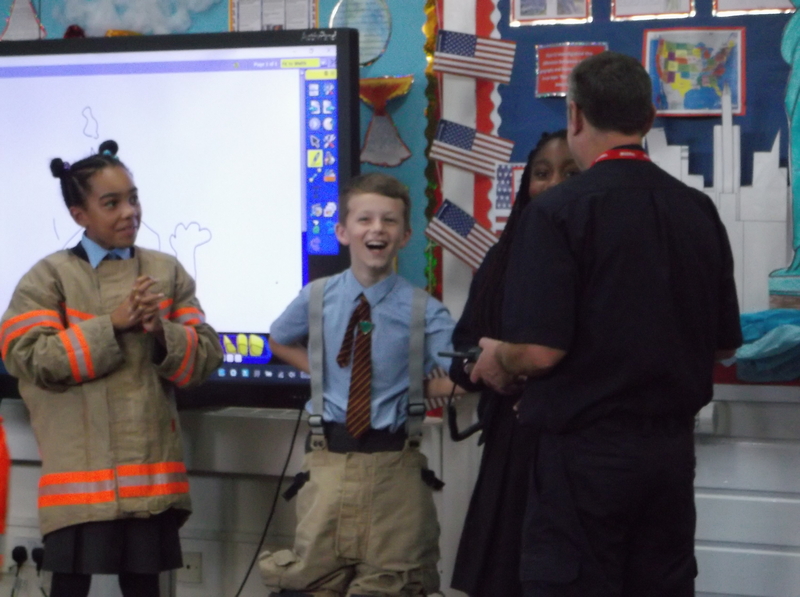 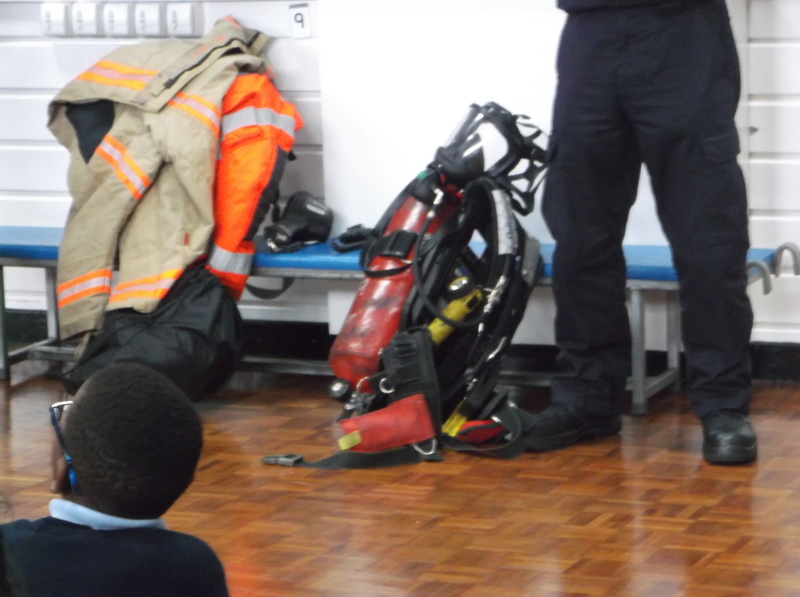 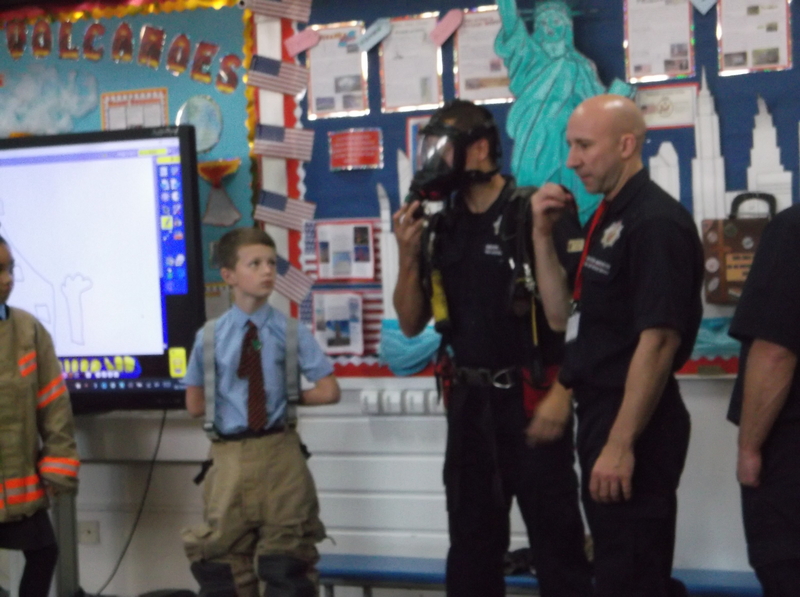 Pupils were allowed to try on all the equipment the fire service use when fighting fires. 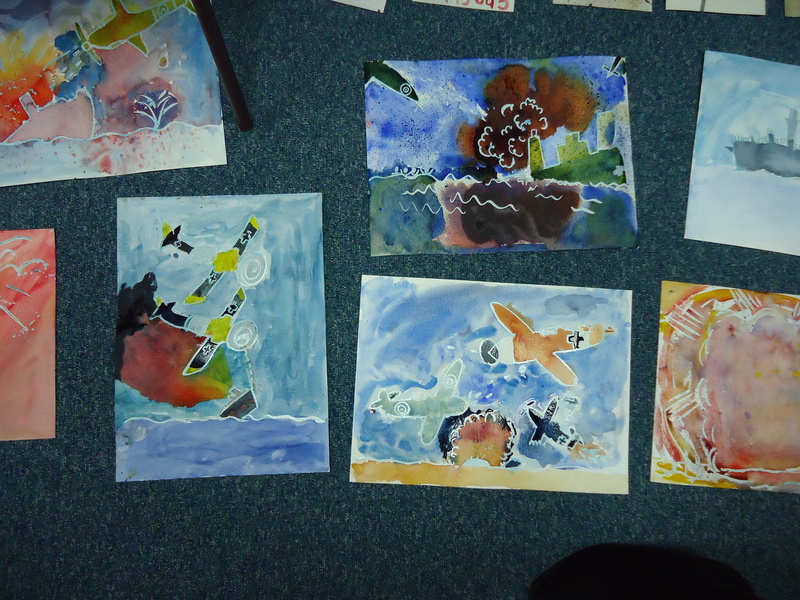 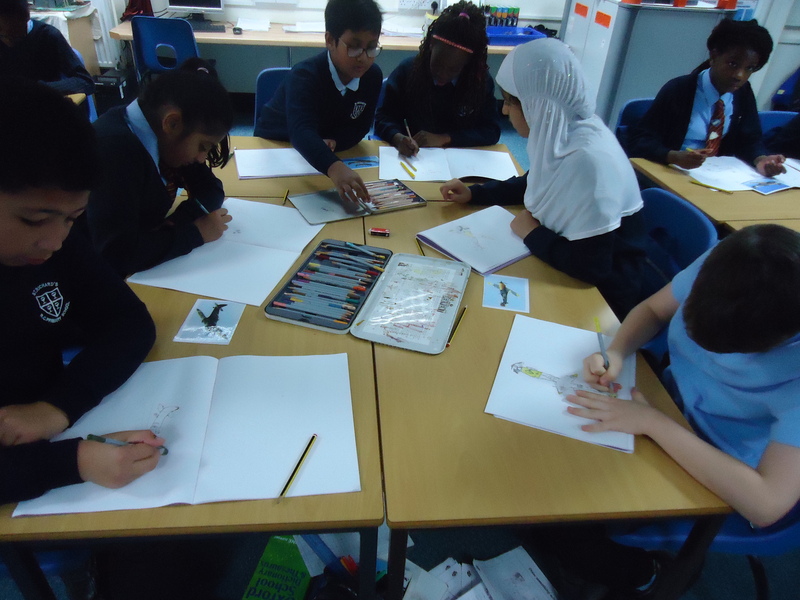 Class 12 took part in a wonderful art workshop with Jenny Ulyatt and Sarah Hill based on our current topic of ‘World War Two’. 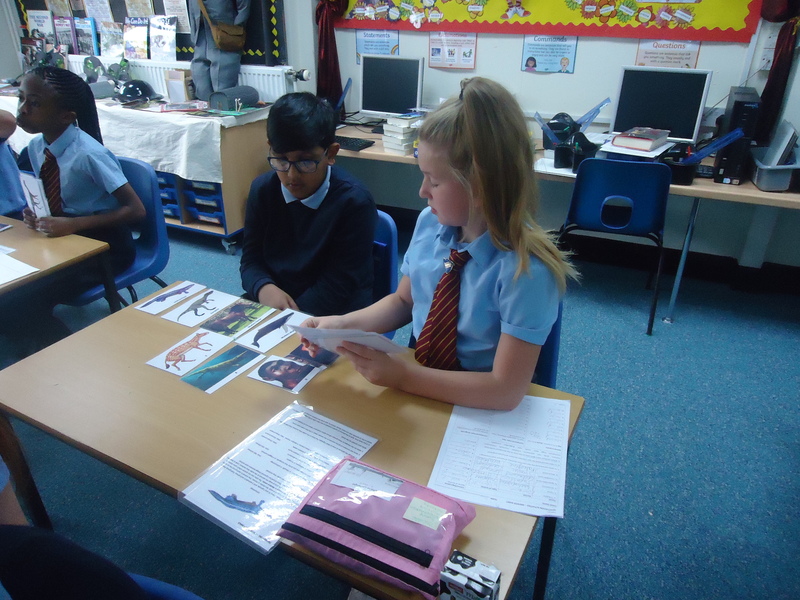 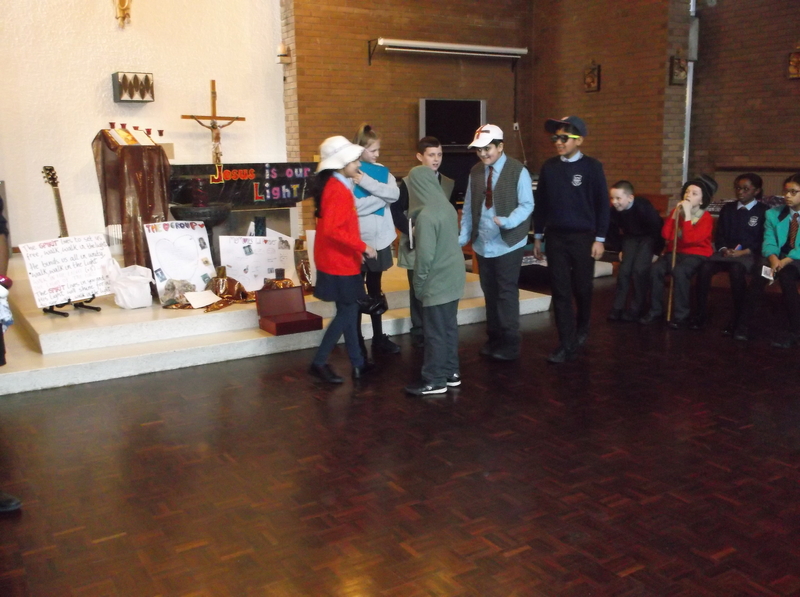 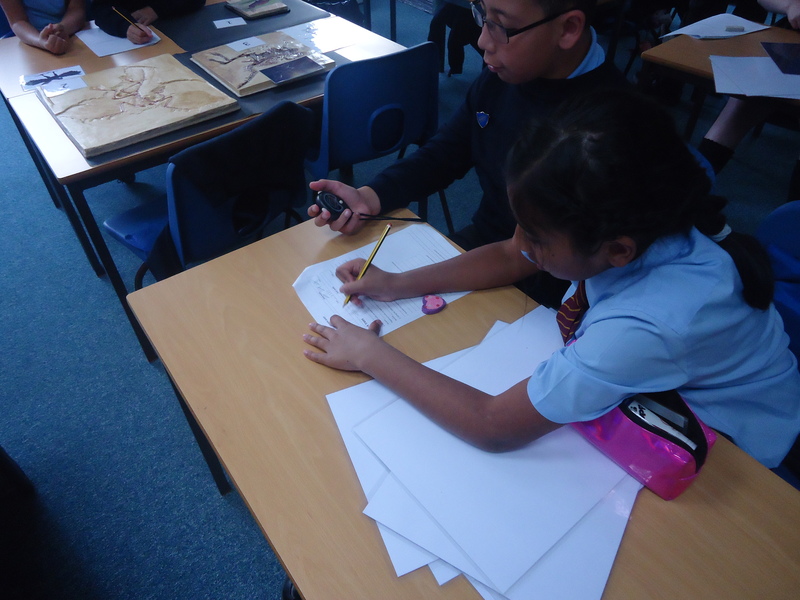 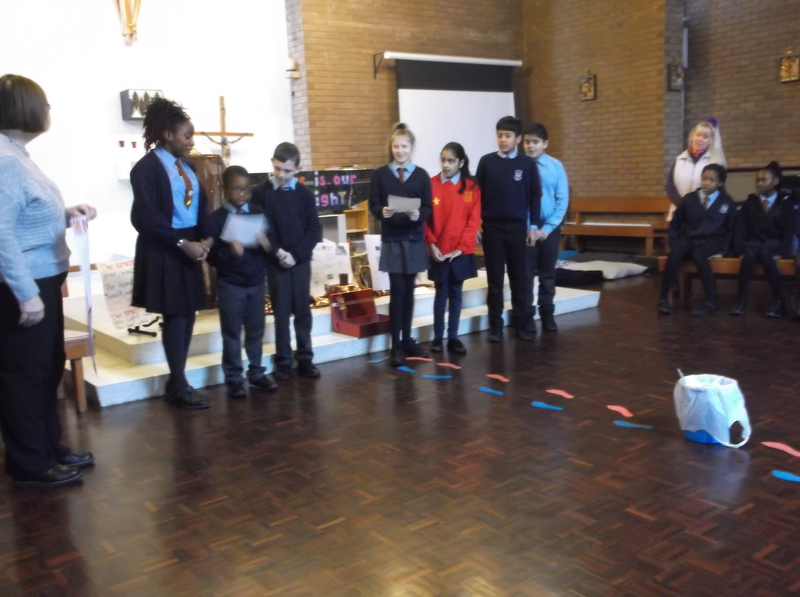 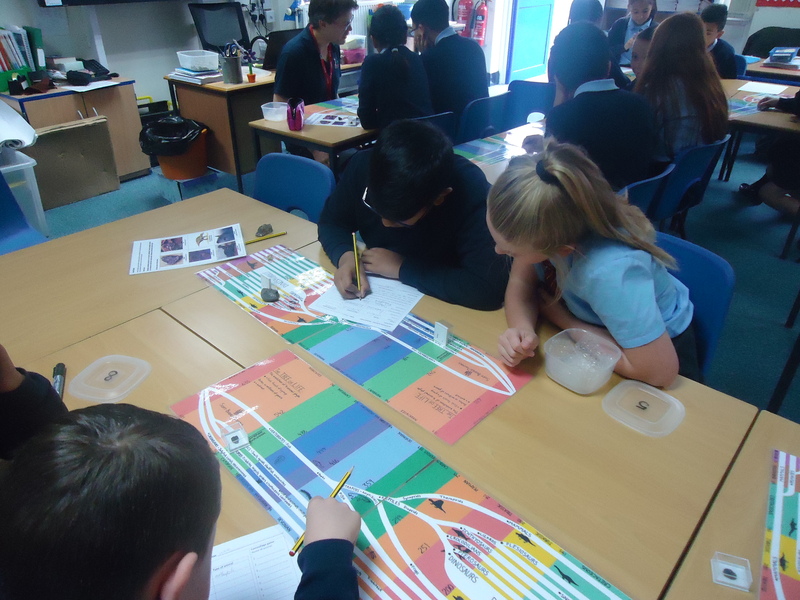 During the workshop, we learnt about the Dunkirk evacuation and the role of the British forces during this key event in the war. 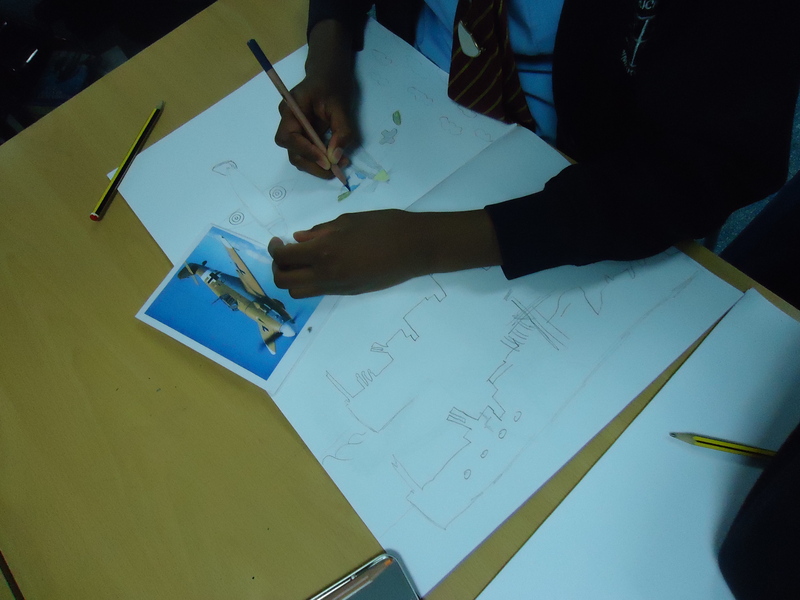 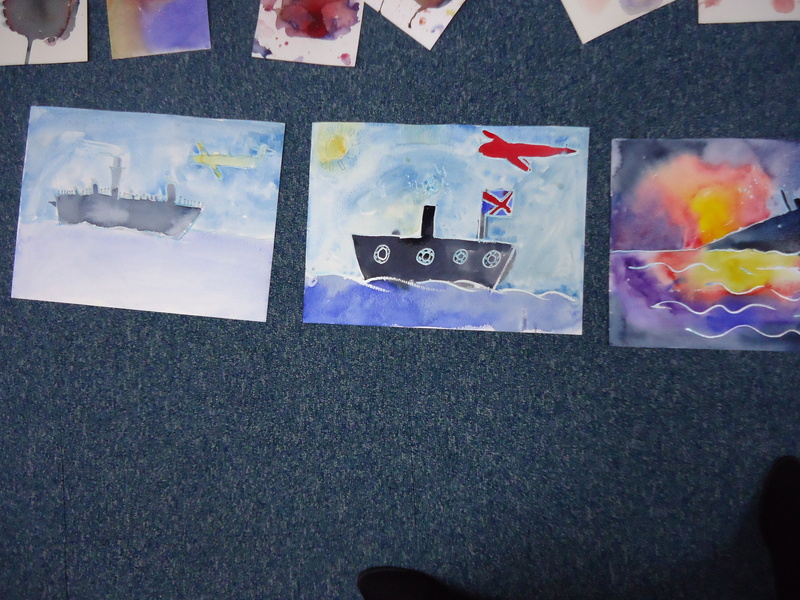 Throughout the day, we studied various drawing and painting techniques; we experimented with drawing explosions, air crafts and ships. 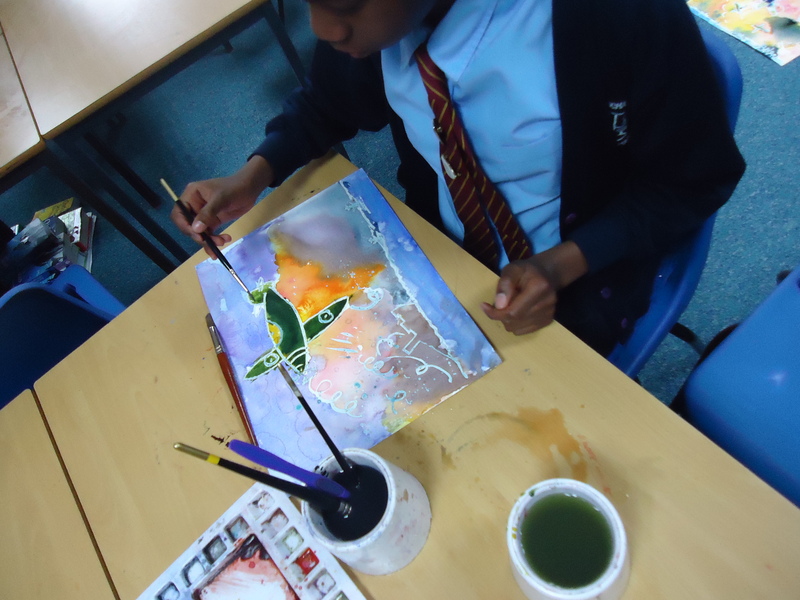 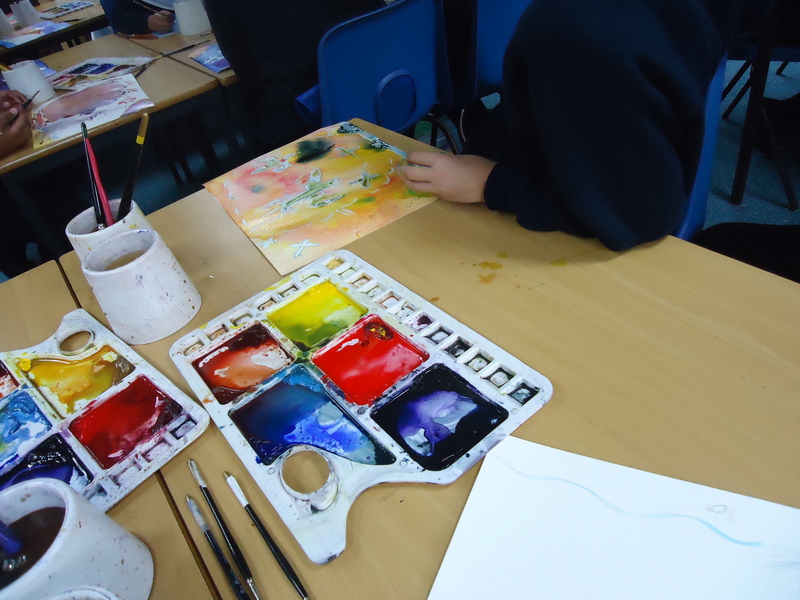 We then applied these skills to producing our own water colour paintings depicting our interpretations of the events in France. 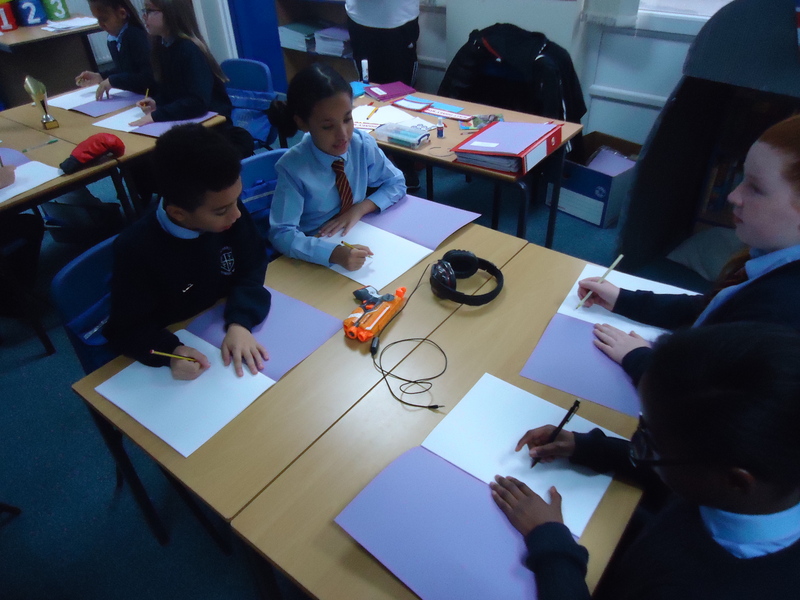 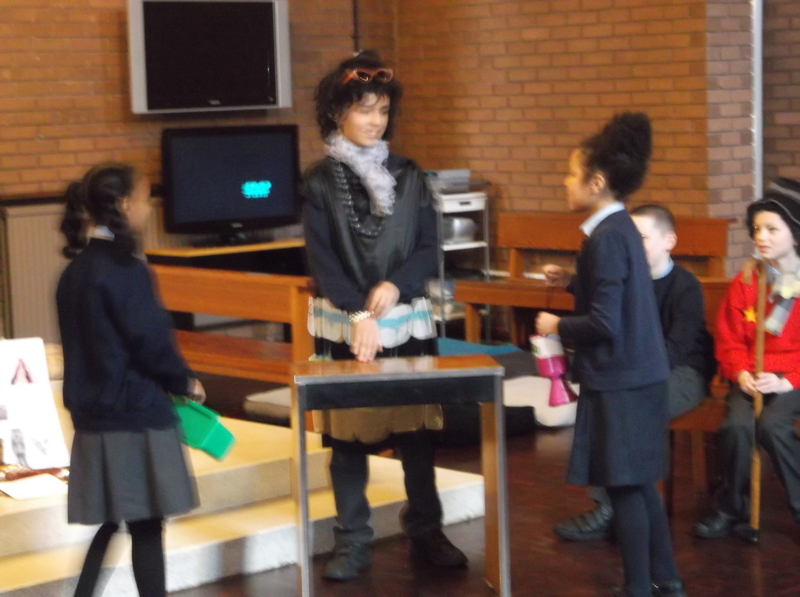 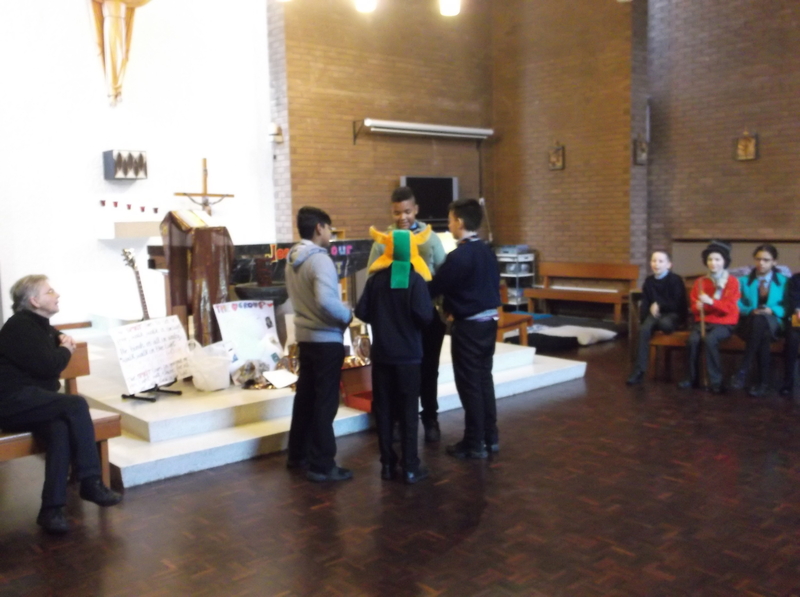 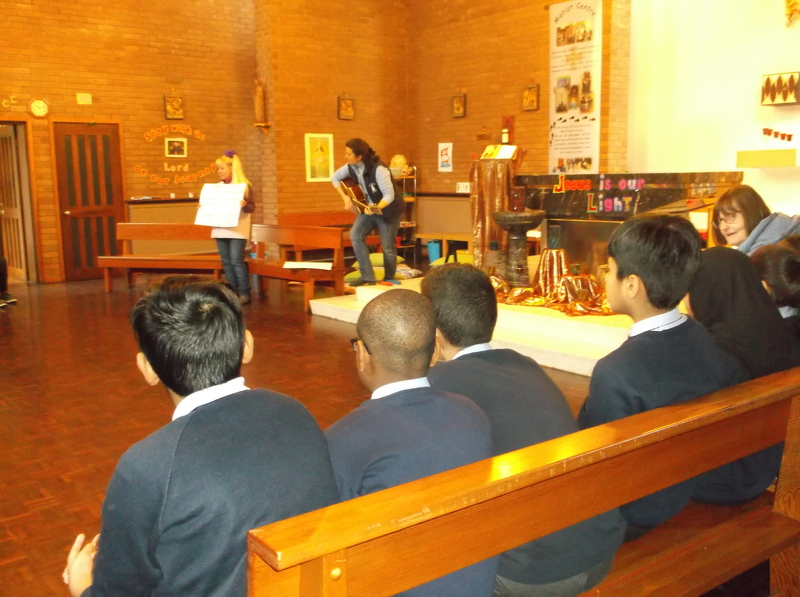 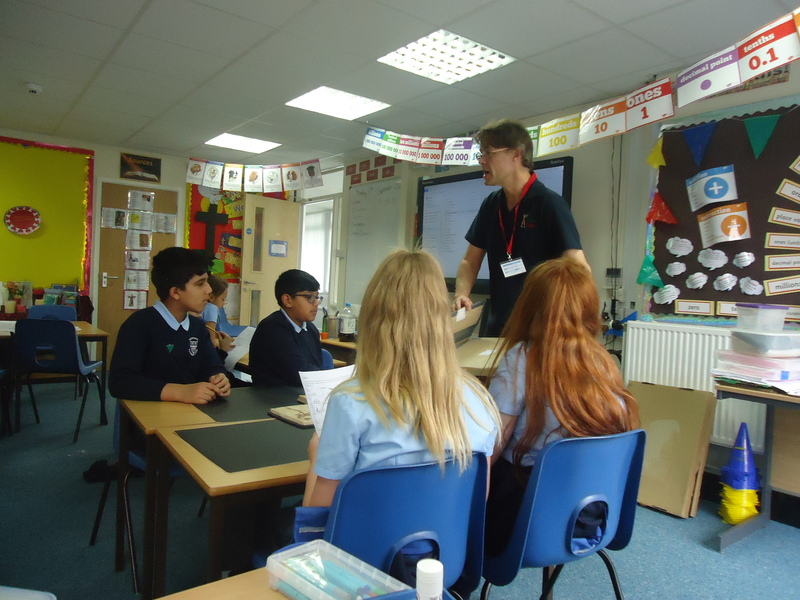 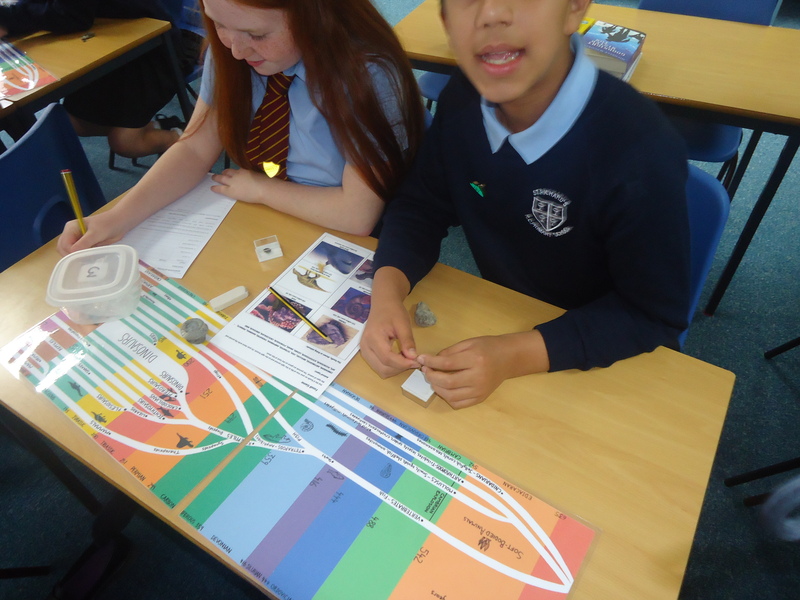 Mr North visited Class 12 this term to deliver a full day workshop on ‘Evolution’. 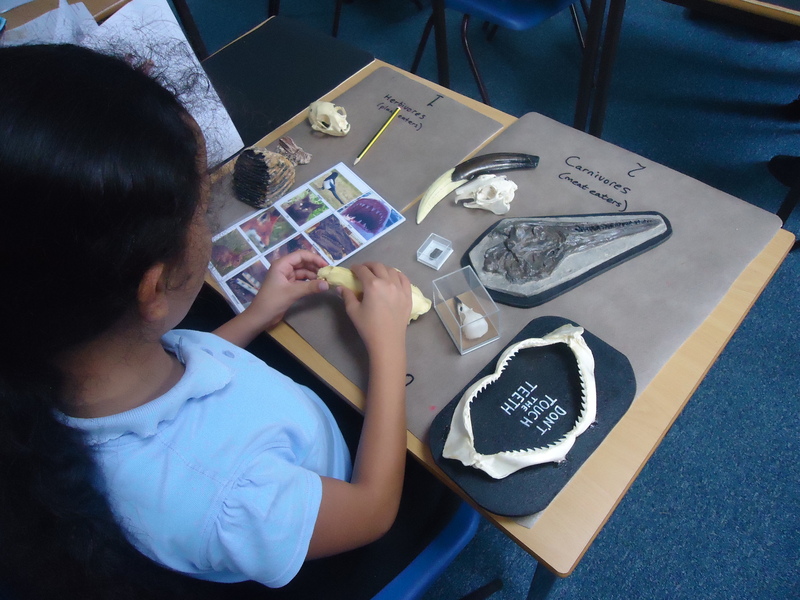 We first learned about the different groups of animals: cnidarians, molluscs, vertebrates and arthropods and examples of each. 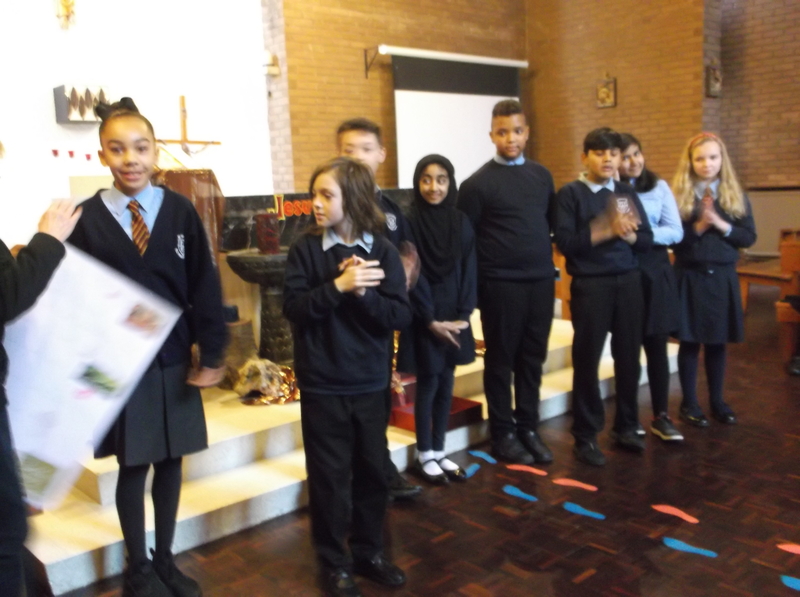 We discussed the ‘Tree of Life’ and how we are all related, followed by a practical activity where we placed animals into different time periods, going back millions of years to periods such as the Cretaceous and Jurassic periods, amongst others. 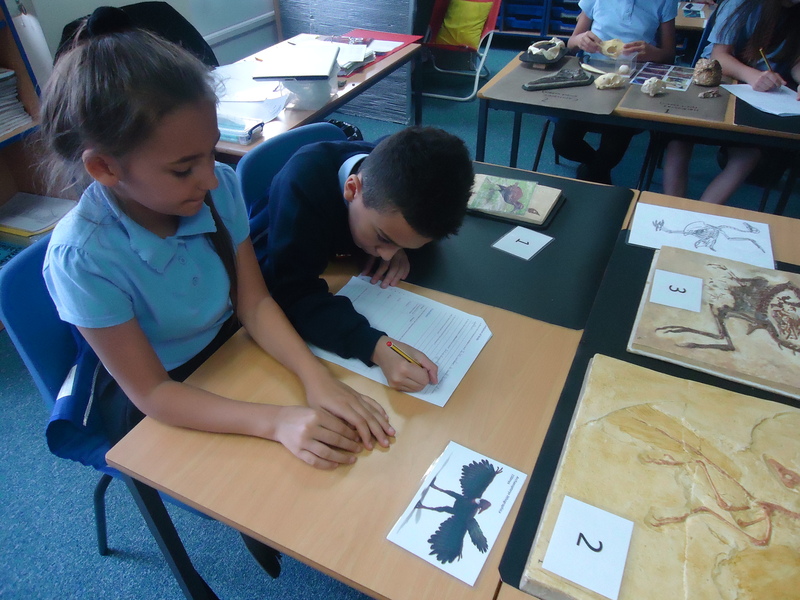 In groups, we then placed fossils on our own timelines, naming the type of animal and the period it belonged to. 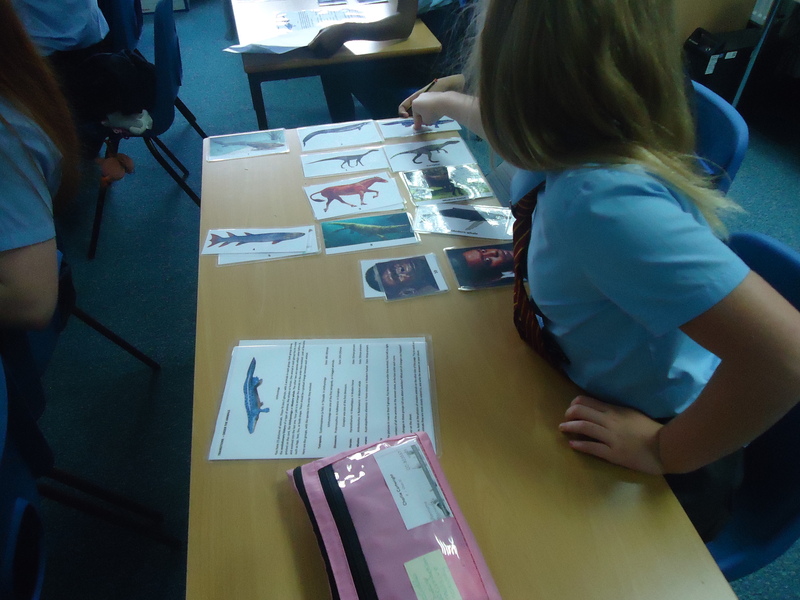 We moved on to discussing ‘Adaptations’ and how animals have changed over time to aid their own survival. 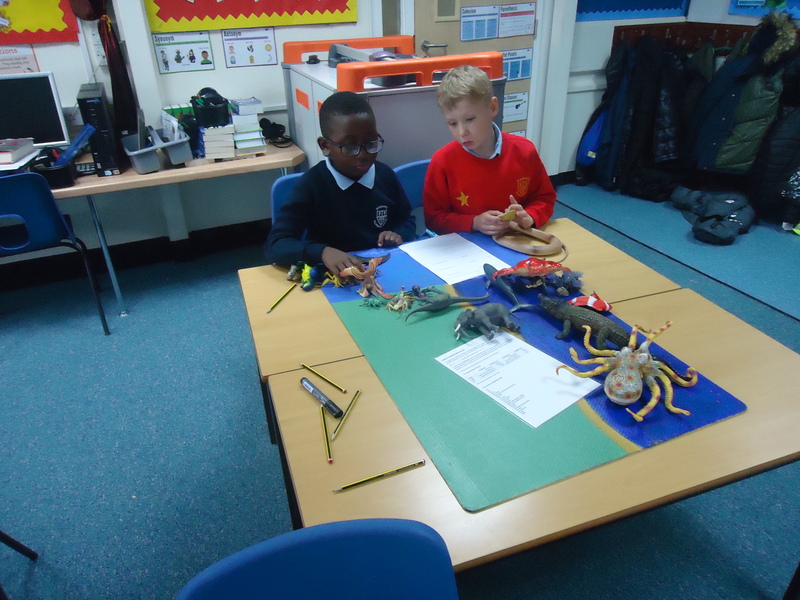 Interesting clips on feeding, teeth, mouth, nose, limbs, stingers and traps, and farming adaptations were explored and discussed leading into a range of group tasks. 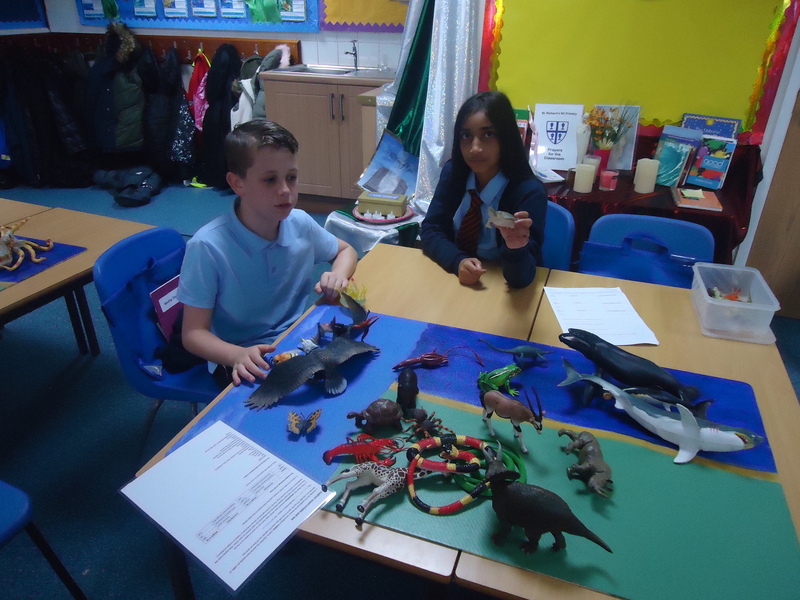 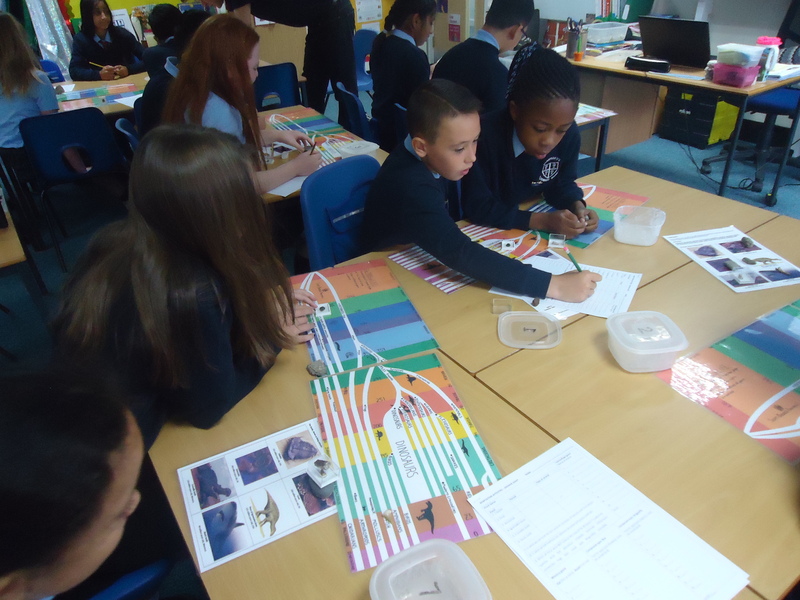 We rotated around lots of stations engaging in practical activities including: ’Habitats’ – we placed the animals on the board according to whether they were land, sea or air animals, discussing their adaptation and how this was useful to them. 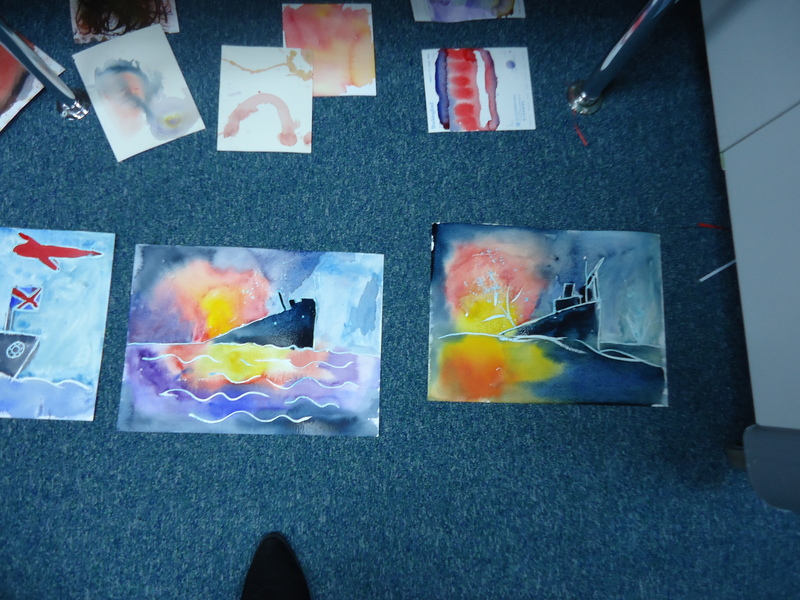 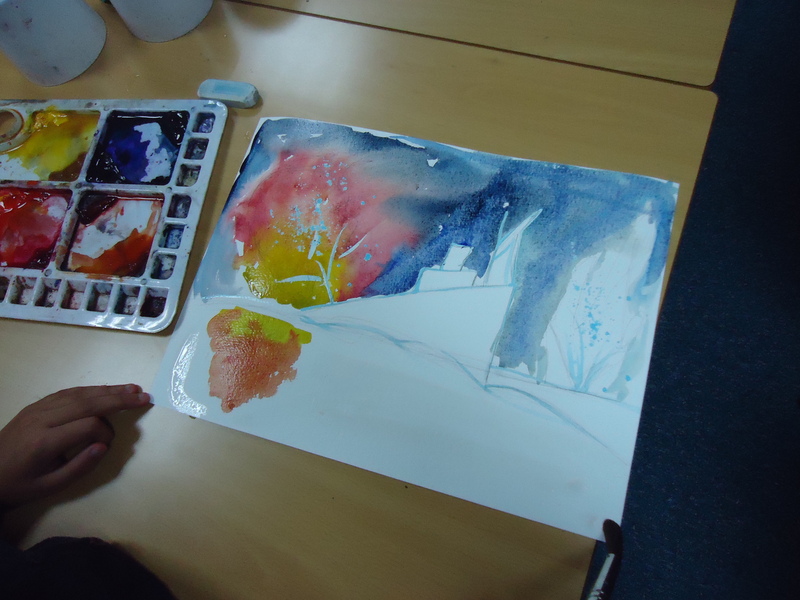 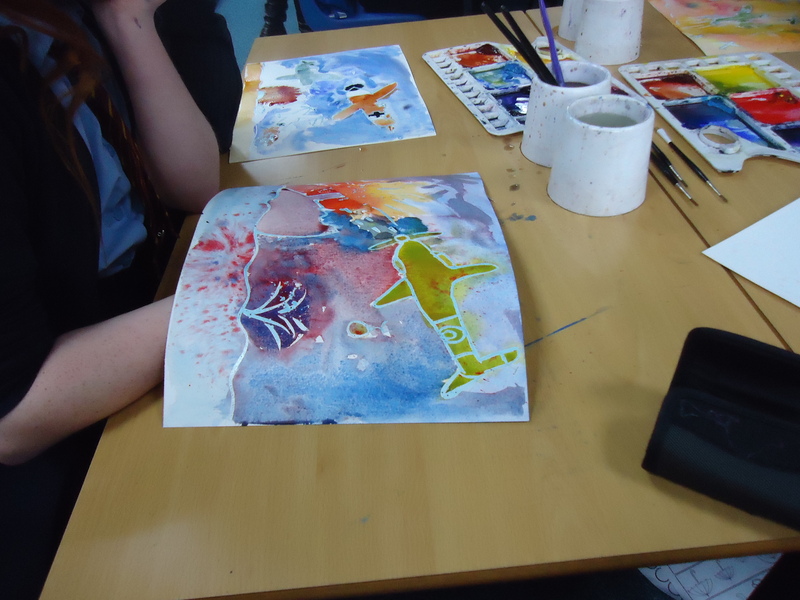 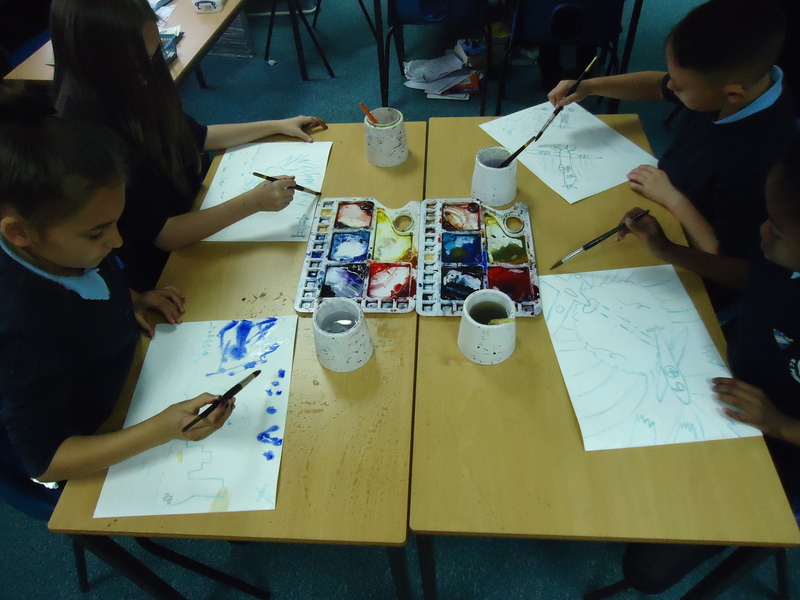 ’Transitions’ – we ordered pictures and discussed the changes over time, stating how these changes were useful. 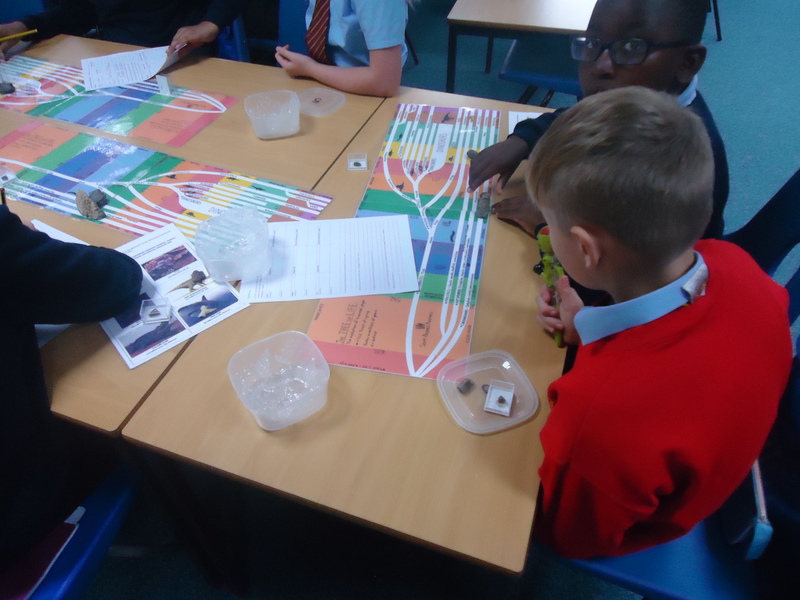 ’Peppered Moth Experiment’ – we timed each other to see how many light and dark moths we could spot on light and dark trees discussing how the moths were affected by the pollution in the 1800s causing trees to darken and therefore endangering the light moths that could be easily seen. 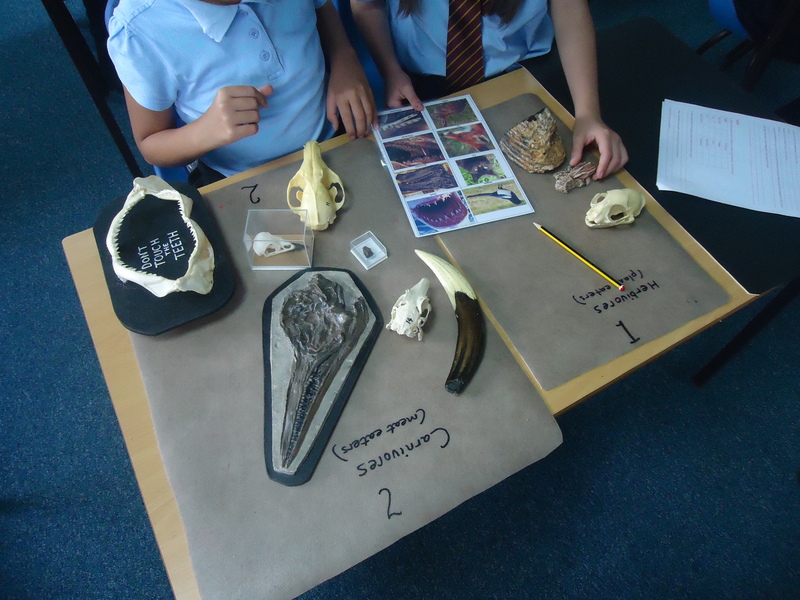 ’Teeth’ – we examined a range of teeth, noting the difference between carnivore and herbivore teeth, and mammal/non-mammal teeth. 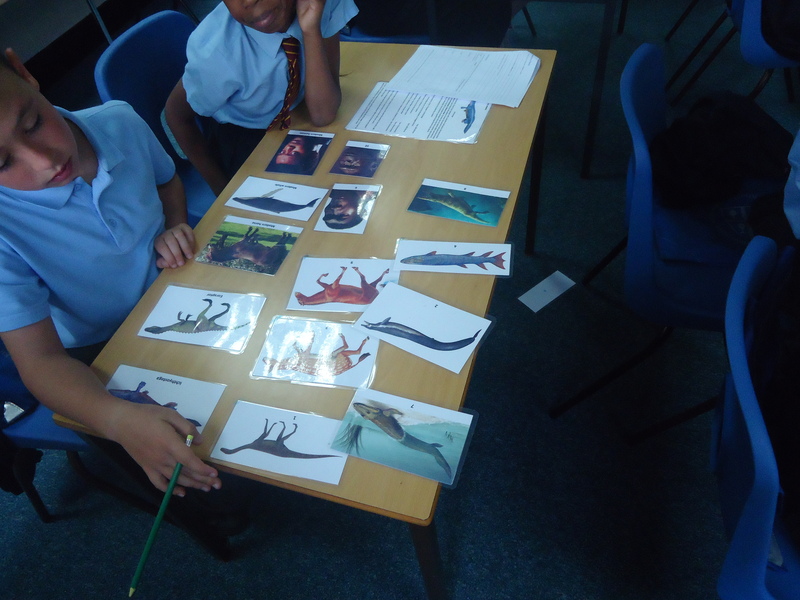 As a whole-class we played a ‘mimicry’ game, discussing how some animals adapt to look like others, to help them survive. 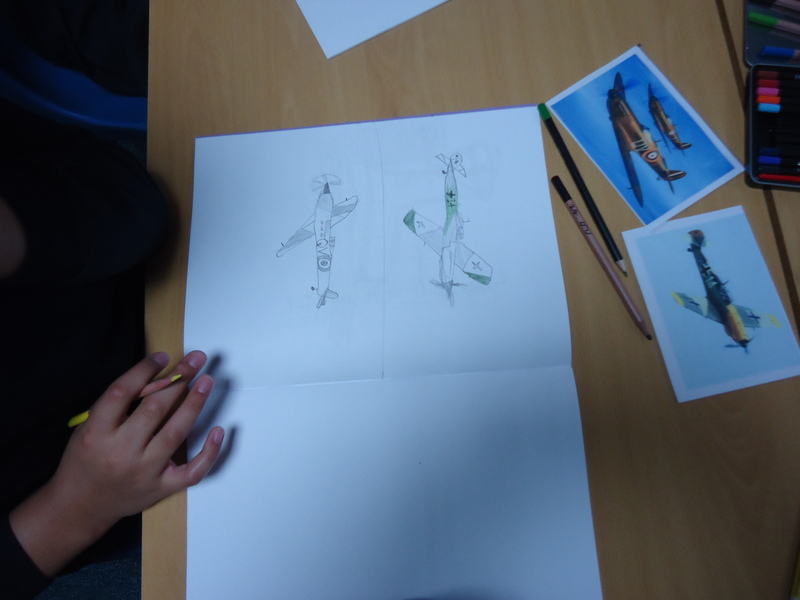 We also played a ‘camouflage’ game discussing this adaptation for survival.